The Queensland family law market is dominated by the significant family law teams at Hopgood Ganim and Barry.Nilsson. Beyond these two firms a range of excellent specialist family law firms exist including those of Murdochs Lawyers, Ryan Kruger and the Ross Hirst’s eponymous Hirst & Co. Despite the market dominance of Hopgood Ganim, or perhaps because of it, the larger Queensland and national commercial law firms continue to struggle to incorporate family law into their service offering. Certainly Barry.Nilsson. face no such struggles but as, the firm only practices within three distinct areas of law, their classification as a “commercial” firm may not be appropriate. 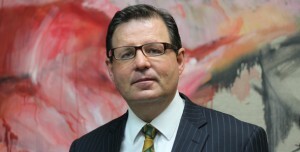 Departures to both sole practice and to the firm’s management have seen the family team at Cooper Grace Ward drop in prominence and questions remain as to the future direction of other traditionally strong family law practices such as those within Herbert Geer, Thynne & Macartney and MacDonnells. Clients should expect to pay between $450 to $550 per hour for the market’s stronger practitioners although there are a number of promising more junior practitioners and specialist firms where rates of $350 to $450 per hour are typical. The above listings represent the views of Doyle’s Guide in relation to the Queensland market’s best family lawyers, law firms and barristers. These views and opinions are based upon an extensive, Australian wide research process where we spoke to the majority of Australia’s leading family lawyers. Unlike other directories Doyle’s Guide does not receive any financial benefit or payment from the firms that are listed. While you may gain benefit from using the above listings in choosing your family lawyer we would ask you not rely upon this list as the sole means of choosing your family lawyer and to make sure that you feel that your lawyer and their firm are a good “fit” for you. Finally, please note that Doyle’s Guide is not associated in any way with any of the firms or individuals listed above and is not to be held accountable or liable for any of their actions.